Mr. Charles Jones, 80 of 1214 Violet Ct., passed away in his home on December 5, 2018. He was the son of John F. Jones and Helen Moore Jones, both deceased and the husband of Janet Carr Jones of the home. He was a member of Hunter’s Chapel where he sang with the Male Chorus and served on the Board of Trustees. 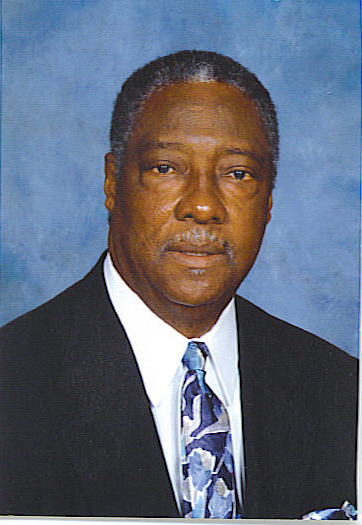 Charles was a graduate of Central High School-Hillisborough with the class of 1956. Charles loved playing baseball in his youth and was well known for his skills during his younger days. He regularly called or visited his friends, church members and loved ones within the community to lift everyone's spirits. He was truly a missionary in his own way. Survivors include: his loving wife Janet; four children: Sheila Jones-Degreaffenreidt (Lee), Michael A. Carr (England Pich-fiance), DeWanda Bolden: (daughter) and Rosalind Jones-Mims (Tony); three grandchildren: LeVar Jones, Christina Degreaffenreidt, and Eleisha Graves (Chris); four siblings: Robbie Coble, Helen Marie Johnson, Mazie Riley and Robert Jones and 3 sisters-in-law: Eddie Mae Jones, Katherine Jones and Hilda C. Jones. He was preceded in death by his siblings: Nathaniel Jones, Percil Jones, John Jones, Lacy Jones, Ben Jones, Fredrick Jones and Mozelle J. Tate.